Written By to Screen in Australia! We're thrilled to announce that Written By has just been accepted into its first film festival! We will be screening at A Night of Horror International Film Festival in Sydney, Australia. The festival runs from April 15-23 and we are so excited to be a part of it! Stay tuned for more updates here or check out www.writtenbymovie.com for more info. We're pleased to announce that A Real Doozy has been selected to screen at the 2009 Big Sur International Short Film Screening Series. Check it out on July 23rd at the Henry Miller Library. Another Great Big THANK YOU!!!!! Many, many thanks to all who attended our Screening Under the Stars program at CBS Radford Studio! Once again, the evening was a great success and a true celebration of AFG filmmaking. We would like to thank the following people and businesses for contributing time, products, and services to making our evening extra special...we couldn't have done it without you! The AFG scores again! 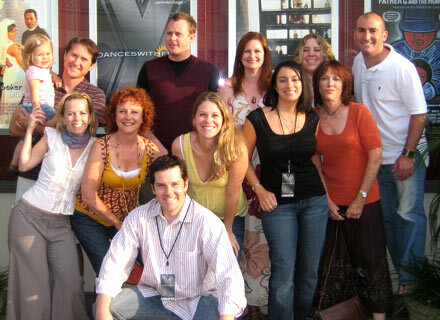 We're proud to announce that Wolves has won the Aloha Accolade Award for Excellence in Filmmaking at the 2009 Honolulu International Film Festival. Principal Photography Complete for "Written By "
Producers Stephanie Bell, Nicole Chamberlin, and Mona Nash are pleased to announce completion of principal photography on "Written By ." 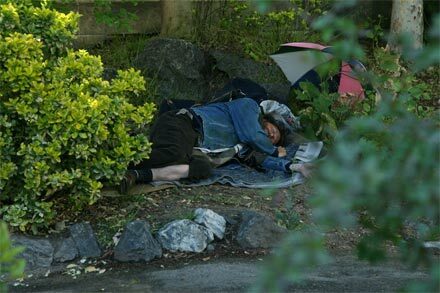 Directed by Karni Baghdikian, the film stars Trevor Boelter and Matt Duggan with Dawn Joyal and John Burish. "Robbie's Withdrawal" Wins at Seattle Int'l. Film Festival! THANKS TO YOU, WE WON! BIG NEWS! 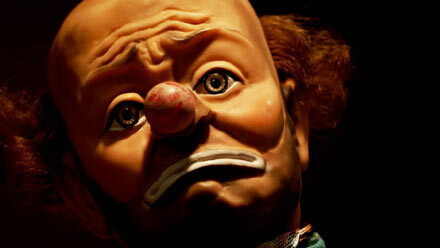 Robbie's Withdrawal has won best short film the 34th Seattle International Film Festival's MyFestival online festival! A sincere thank you to all who participated in the viewing & voting process! TRADE recently screened in competition at the Hermosa Shorts Film Festival in Los Angeles. This is a great little festival and we are thankful for being invited! 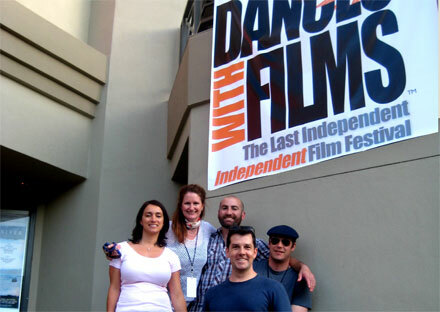 Robbie's Withdrawal recently screened in competition at the Dances With Films, in Los Angeles. This was our third consecutive year at DWF and we had a blast, as always! Minnesota y'all! 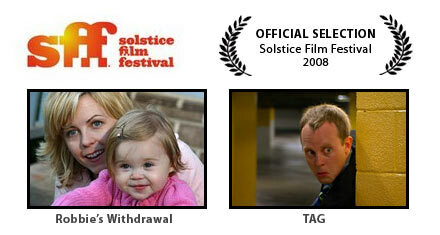 Two of our films--TAG and Robbie's Withdrawal--screened at the Solstice Film Festival, in St. Paul, Minnesota. 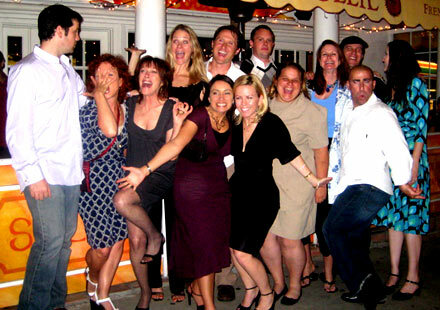 Mona Nash (pictured below) attended on behalf of the group and had a blast! 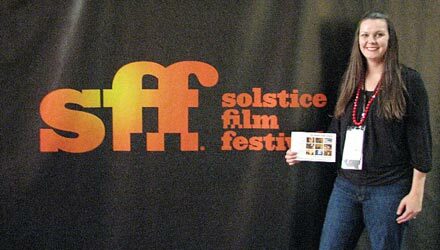 The Solstice Film Festival marks our debut in Minnesota! 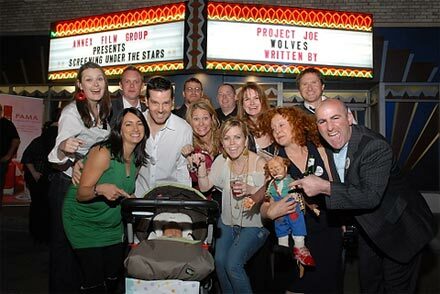 Principal Photography Complete for "Project Joe"
Producer Nicole Chamberlin, Writer/Producer Stephanie Little, and Producer Mona Nash are pleased to announce completion of principal photography on "Project Joe." Directed by Shelly Gant, the film stars Carla Hiresh, John Burish, and and Chris Pauley. Principal Photography Complete for "Wolves"
Writer/Director Roy Ferré and Producers Karni Baghdikian, Carla Hiresh, and Lu Ugaz and are pleased to announce completion of principal photography on "Wolves", starring Shelly Gant and Chris Pauley. 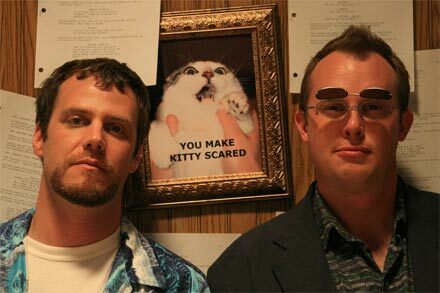 You S*ck recently screened in competition at the Dances With Films, in Los Angeles. As always, Dances was a well run and extremely fun festival, and we're thankful for another year of participation! A Great Big THANK YOU!!!!! 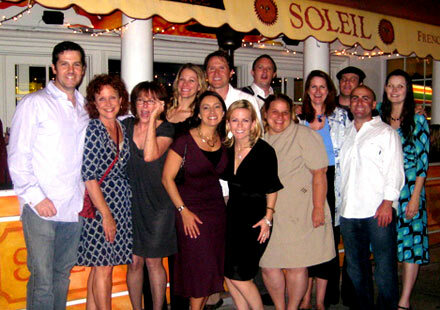 Many, many thanks to all who attended our recent Exclusive Screening and Fundraiser! 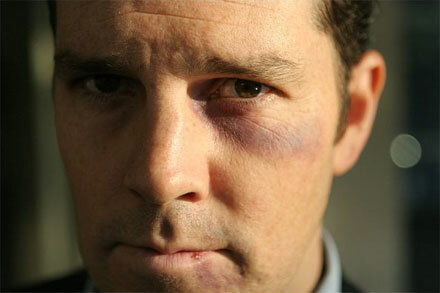 The evening was a smashing success and a true celebration of filmmaking in the Annex Film Group tradition. We can't wait to do it again! TAG IS "IT" AT THE WESTWOOD INTERNATIONAL FILM FESTIVAL!!! TAG, which screened at the Westwood International Film Festival this week in Los Angeles, was awarded the distinction of BEST SHORT FILM!!! 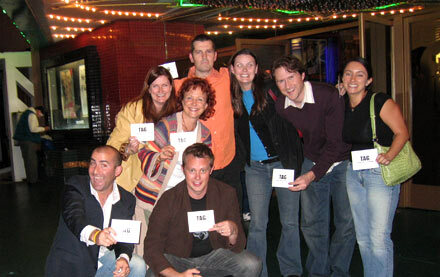 AFGers joined five other directors for a panel discussion after the 10-film comedy slate on October 9, 2006. 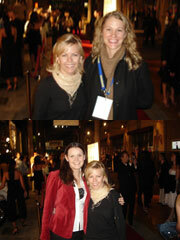 The Westwood International FF is really well run and was tons of fun...the lineup of films was terrific! TAG recently screened in competition at the Toofy Film Festival, in Boulder, Colorado. The Festival was a blast and the audience's reaction was fantastic! Above pictured, writer/director Matt Duggan, Stephanie Bell, Chris Pauley, Carla Hiresh, Trevor Boelter hanging with Festival organizers and members of the band "Scissors for Lefty"! We are pleased to announce that TAG will be screening again at the Westwood International Film Festival. 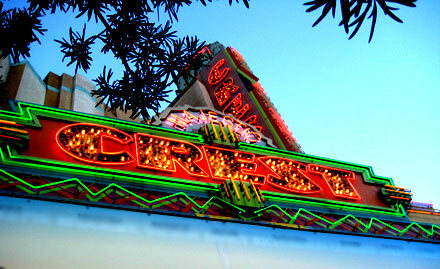 Come check us out in our backyard on October 9th at 7:30 pm at The Majestic Crest Theatre, Westwood, CA! 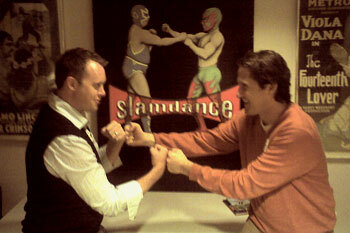 Trevor Boelter & John Burish Honored as Slamdance Screenplay Semi-finalists for "SUMO"
"American Sumo" was selected as one of the top 45 out of over 2000 scripts submitted to the 2006 Slamdance Screenplay Competition. The script is a romantic comedy and is the story of an overweight underdog who falls in love with a Japanese girl, follows her to Japan, where he enters the professional sumo circuit to win her heart. Trevor and John are currently pitching this hilarious and unique script to agents and production companies. For more information, please contact Trevor & John through American_Sumo_Film@yahoo.com. Many thanks to the many who came to See Jane Dance at the Dances With Films festival on Saturday. The turnout was terrific and we hope to gain entry into this exciting festival again next year! Sign up for AFG: In Focus, The Annex Film Group's Official newsletter! The Annex Film Group is a self-funded group of artists who write, produce, cast, and direct our own film projects with money from member dues. Your contribution to our future projects is greatly appreciated! 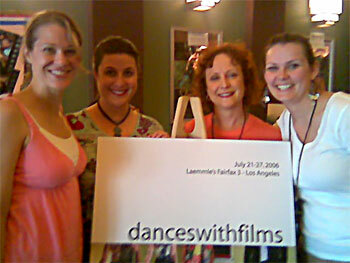 See Jane Dance made its festival debut at the ReelHeART International Film Festival in Toronto, Canada on Thursday, June 22, 2006. You can get more information on the festival at http://www.reelheart.com, or you can E-mail Director Mona Nash for more information about the film! 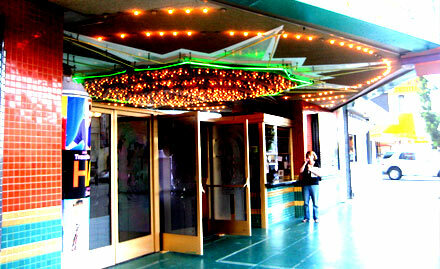 Manejar was in competition at the 2005 Los Angeles Latino International Film Festival, and the turnout was terrific! You can get more information on the festival at http://www.latinofilm.org, or you can E-mail Mona Nash for more information about the film!